Split infinitives: The Economist magazine’s style guide says readers find it annoying so never do it. 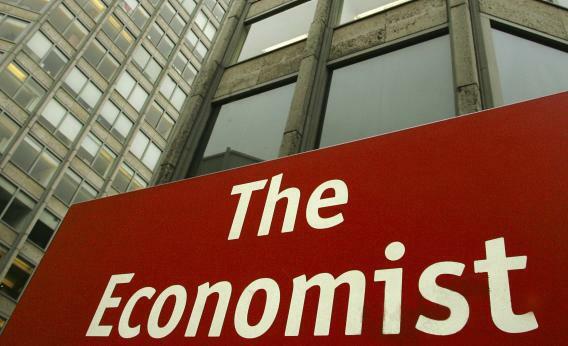 The London offices of the Economist. The main umbrella organisation, the Syrian National Coalition, was supposed to do three things: expand its membership, elect a new leader and decide whether unconditionally to attend the Geneva talks. *I wondered whether angrily to protest to the editors. *The question for the Economist is whether immediately to change the policy. *The style guide manager should think about whether voluntarily to retire or resign. In the 44 million words of the 1987–1989 Wall Street Journal corpus, frequently used by computational linguists as a test bed, there is not a single occurrence of an -ly adverb between whether and infinitival to. split infinitives are accepted by grammarians but irritate many readers. When a graceful alternative exists, avoid the construction: to show the difference clearly is better than to clearly show the difference. (Do not use the artificial clearly to show the difference.) When the split is unavoidable, accept it: He was obliged to more than double the price. Note that the Times explicitly opposes the “artificial” pushing of preverbal adverbs into the position before the to. Also note that its advice to avoid splitting infinitives whenever possible is openly attributed to pure political cowardice. There is nothing grammatically wrong, they admit, but hush, it might “irritate” readers! Happy the man who has never been told that it is wrong to split an infinitive: the ban is pointless. Unfortunately, to see it broken is so annoying to so many people that you should observe it. This mythical and pointless prohibition against a natural syntactic construction has never been defended by any serious grammarian; but observe it anyway, because we’re scared of our readers. Is this a sensible way for a great magazine to make decisions about how its writers should use their native language? *Forcefully to argue yes would be foolish in my opinion. A version of this post originally appeared on Language Log.